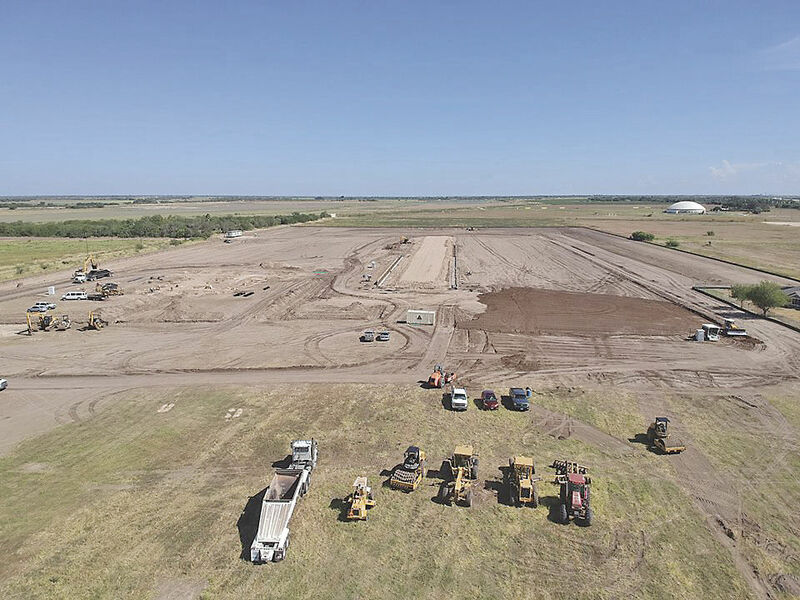 Preliminary preparations are underway at the site where FedEx will locate a new freight distribution facility in Mercedes. MERCEDES — A developer purchased land from the city’s economic development arm in June for FedEx to build a distribution center that is set to open in 2019. Setzer Properties, the developer, purchased 34 acres for $850,000 without an incentive, according to Development Corporation of Mercedes Executive Director Melissa Ramirez, adding FedEx will employ about 125 workers at the freight facility. “We’re just elated that they chose Mercedes,” said Mayor Henry Hinojosa. Construction is expected to be completed by August, according to information provided by the Texas Department of Licensing and Regulation. FedEx will construct 115 docks for trucks to load shipments, an office, shop and fueling station on the property at 1300 W. Anaquitas Street near the I-2 expressway. “Some of the factors we consider in choosing our service center locations are their ease to major highways, proximity to customers and strong local community workforces,” a FedEx spokesperson said in a statement. Officials estimate the property will be valued at about $25 million once construction is completed, adding about $186,000 yearly to the city’s property tax base. “They’re not only investing in themselves, but they’re also investing in Mercedes,” Ramirez said, adding that the new business would likely spur further growth at the light industrial park. The DCM bought the land for the light industrial park from the Valley Telephone Company through a loan and a U.S. Economic Development Administration grant used to install water and sewer lines in the area. A dialysis center will be the first business to open there. FedEx’s freight division, which produced about $6.8 billion in revenue for the company this fiscal year, handles heavy shipments transported cross country and internationally by semi-trucks. FedEx’s nearest shipping center, located in Harlingen, also ships freight loads by plane.